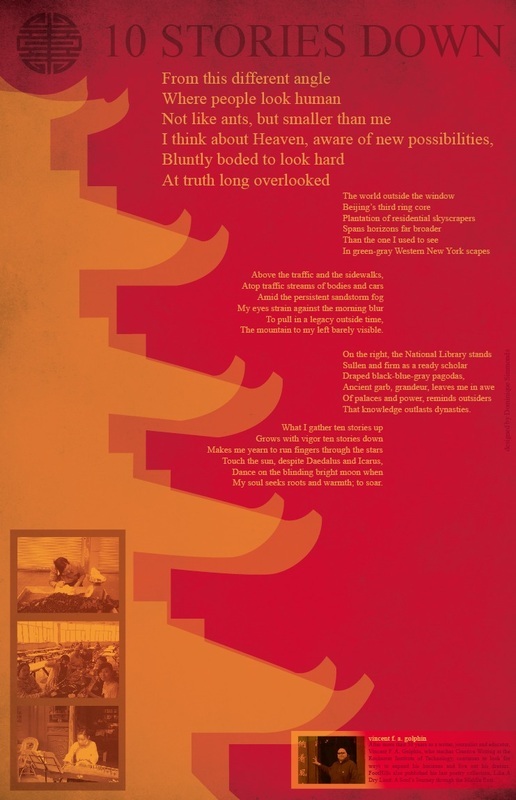 Broadsides offer a wonderful chance to showcase a reminder of your favorite poem or story by the author. Unframed, the 16- by 20-inch posters can be purchased from below. 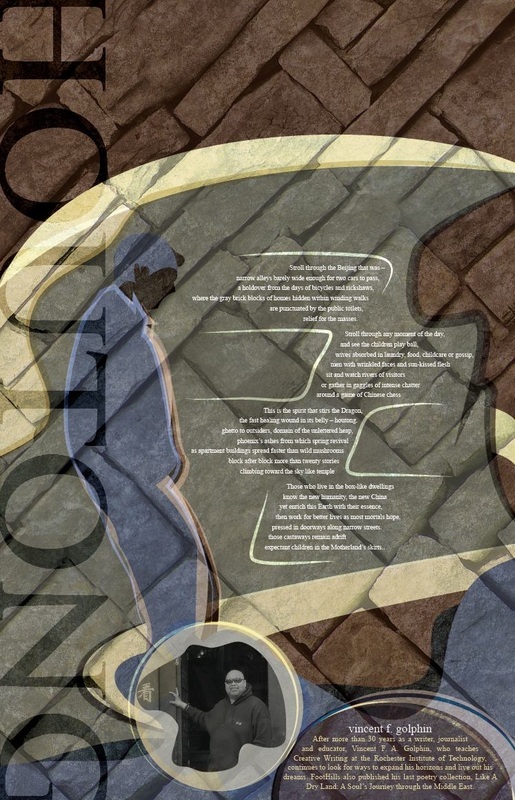 "What I gather ten stories up, grows with vigor ten stories down," the title poem begins. Those words speak of the insight into life on the other side of the world that change my perspective on the world and my place in it. three photographs taken in Beijing. 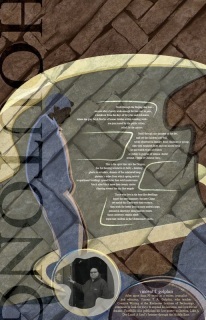 Readers may buy the work suitable for a frame. "Stares can stab at the spirit with the strength that a smile lifts the heart," is the refrain and essential thought in, "Encounters." 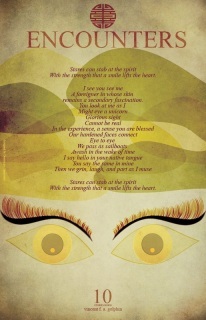 The poem from the new book, 10 Stories Down, talks about how eyes can transmit the mind without a spoken word. This is not the Beijing of outsiders. This is the phoenix’s lair from which life springs.